Playground Mondragone original oil painting by Jeffrey Smart has faithfully been re produced as a limited edition fine art print,this image is an Australian Fine Art limited edition print made on high quality Arches paper, Playground Mondragone is digitally signed & has an embossed Jeffrey Smart copyright stamp in the lower left corner. 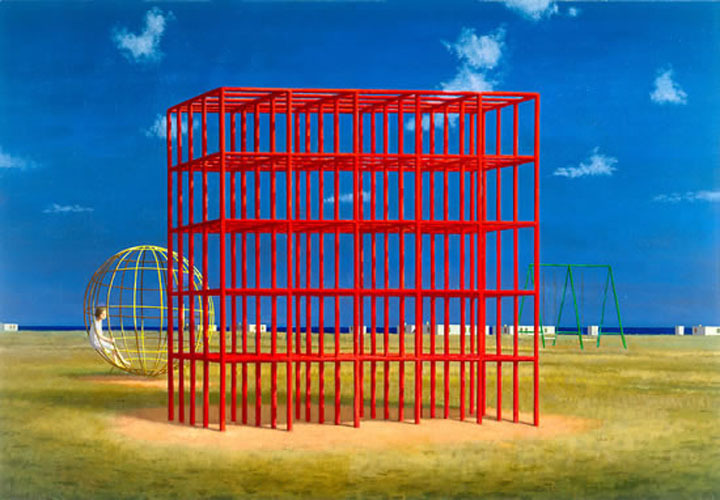 Playground Mondragone is available at Etching House Framed or unframed with delivery all around Australia. The work comes complete with certificate of authenticity. Etching House offers a Lay Buy plan with no fees. Etching House specializes in Jeffrey Smart fine art limited edition reproduction prints. Etching House specializes in art by Jeffrey Smart. Etching House for fine art etching and prints by Jeffrey Smart. Etching House buys and sells art by Jeffrey Smart.